12,000 kilometers of coastline bathed by the Pacific Ocean on one side and the Caribbean and Gulf of Mexico waters of on the other. Food-laden streams that attract the largest oceanic species and colorful, small-scale backgrounds that grow sheltered by reefs and warm waters. Unique and mysterious geological formations that allow you to dive in the "wells of life" and enjoy the most incredible lights that a diver can see. Whale watching, diving with sharks, crystal clear waters, vertical walls that do not seem to end ... it is not strange that Mexico is one of the most important diving destinations in the world. Its wealth is indisputable: whether in Tulum, Riviera Maya, Isla Mujeres, Isla de Guadalupe, Cancun, Acapulco, Veracruz, Mar of Cortes or Cozumel, divers will be surprised at all times by a magical diving destination capable of combining each and every one of the aspects that make diving a sport capable of changing people to make them better. Loreto being part of Mar of Cortes has a unique climate that together with its winds and strong currents makes a lot of plankton and therefore many marine species of different sizes. Islands such as Coronado, Del Carmen, Danzante and El Bajo have become the star destinations in diving in Loreto. The bottom of the Sea of Cortés has valleys, submarine canyons and abysses over 3 kilometers deep that host crustaceans, crabs, shrimps and lobsters; echinoderms such as starfish, sea urchins and sea biscuits; mollusks, octopus, squid and a variety of fish such as goldfish, marlin, horse mackerel, moray eels and huge and flying stingrays. You can also find a great variety of shark species, such as the white tip, the whale shark or the great white shark. One of the most extraordinary aspects of the Sea of Cortes is that it has become the "Whale Capital of the World". From January to April, both on the Pacific Ocean coast and in the Gulf of California, it is possible (and even easy) to spot all types of whales. Both the gray whale and the blue whale, the humpback whale and the pilot whale attract thousands of tourists a year who want to see the largest and most peaceful animals on the planet. Welcome to diving in Mexico! The Sea of Cortez was named by the famous Jacques Cousteau as “The aquarium of the world” and its entrance is in Loreto. With 206,000 hectares of sea, the national park Bahía de Loreto has been a protected area for more than 20 years and has more than 50 dive sites. In the following text we give you 10 Reasons why you should start the activity of diving and why not in Loreto! Breathing underwater and discovering the treasures hidden by underwater depth can be two insuperable reasons to spend a magnificent vacation, although knowing the benefits of this sport – which can be practiced even in a swimming pool – adds even more reasons to put it into practice. In an interview with Infobae, Damián Giuliano – an instructor with more than 15 years of experience and training in diving medicine – revealed the physical and mental benefits of diving for health. If we take concentration during breathing as the main source of meditation, diving is an excellent activity to relax the senses and overcome anxieties. Under the water, the person comes into direct contact with the environment and isolates himself from distractions, to the point of listening only to the sound of his own breathing. Control it, become aware of it, listen to it through the respirator and see it reflected in the bubbles that emerge to the surface, are the main benefits to reduce stress. In many cases, those who learn to dive arrive on the recommendation of a health professional, and although at first they may not dare to do dives, they can start with basic breathing exercises until they are encouraged to dive. All these exercises that make up diving lead to relieve disorders of hyperactivity and anxiety. On the road to self-improvement, diving presents the challenge of crossing a barrier and overcoming a before and after in each person’s life. From the first immersion in open waters, changes in self-esteem occur and confidence increases. That is why diving is considered a sport with emotional benefits, to which new experiences and breaking with the daily routine are added. See the other half of the world is an advantage out of the ordinary, since it is nature in a pure state and constant movement. Besides witnessing flora and fauna of incredible variety, there is no equal point to the other: diving makes it possible to dive a thousand times in the same place and always find something different. This attribute makes it an excellent option to relax the mind and optimize the focus and concentration we commit to each task. On the contrary to what is often assumed, diving is a simple and safe sport. It is not necessary to know how to swim, since it is enough not to be afraid of water. With the necessary precautionary measures and adequate training, the activity becomes very safe. In the initial dives there is always an instructor who controls the practice, to relax and enjoy to the fullest. To do it, you do not need a developed swimming style, you just need to float and move. Diving is recommended to strengthen human bonds: one of the safety rules of this activity is that it is always carried out in pairs. Therefore, it is necessary to trust in the partner we choose, since he is the one who will help us with our team and who will collaborate in case of an unexpected situation. In addition, the dives are carried out in groups, both in practices and trips, and in meetings organized for the common purpose of diving and exploring the aquatic depths. It is advisable to carry out this activity to reinforce interpersonal relationships, generate a greater degree of camaraderie and learn to share. You do not need to be strong or a great athlete to practice diving. People with different degrees of disability can also access the underwater world through adapted diving. Being a water sport, diving is recommended to strengthen muscles because water offers a natural resistance, so the human body comes into movement and is toned in an integral way. Diving is an experience that develops the psychomotor skill and spatial orientation of each human being. This is because it works both hemispheres of the brain at the same time, being constantly floating, requires maintaining body balance. Unlike other disciplines recommended by therapists and health specialists, diving can be done from age 12 onwards and without age limits. The important thing is to have desire, to relax and to be encouraged to enjoy its benefits. In addition, it is more economical than estimated, since once the course is completed, certification is obtained that does not expire and it is not necessary to buy any equipment to practice it, since they are rented according to the requirements of each place. El calor ya inicio en Baja California, se sienten los días cálidos, una gran ventaja para el amante de la pesca deportiva; porque los peces grandes considerados como cazadores empiezan a sobresalir debido a que se acercan a nuestras costas buscando el alimento de peces pequeños, es aquí cuando el pescador toma ventaja y hace lo que le apasiona en el mar. Las especies de peces irán en aumento en los próximos días, a lo largo y ancho de la geografía nacional, esto representa un 'abanico' de oportunidades para Loreto, Baja California Sur, para la organización de torneos de pesca, las competencias empiezan a aumentar en nuestras agendas. En agosto, se desarrollará la Final del Serial Estatal de Pesca Deportiva en Loreto. Loreto, Baja California Sur (BCS). En el próximo mes de agosto, se llevará a cabo la Final del Serial Estatal de Pesca Deportiva en el municipio de Loreto, mismo que contará con la participación de más de 100 equipos, informó el titular de la Secretaría de Pesca, Acuacultura y Desarrollo Agropecuario (Sepada), Andrés Córdova Urrutia. Conviene mencionar que, en la edición del 2017 se tuvo la participación de 104 equipos, por lo que se estima que este año dicha cifra será superada, ya que se han entregado más de 100 pases entre los ganadores de los torneos que conforman el Serial Estatal. Mientras tanto, destacó que la Gran Final Copa Calisureños ha sido denominada como la “máxima fiesta de la pesca deportiva en la entidad”, pues además de despertar el interés a lo largo de los litorales de la media península, también asisten pescadores deportivos de otros estados en la región, así como de la Unión Americana. Fish species will increase in the upcoming days, across nationwide, this represents a 'range' of opportunities for Loreto, Baja California Sur, to the organize fishing tournaments, these begin to increase in our agendas. 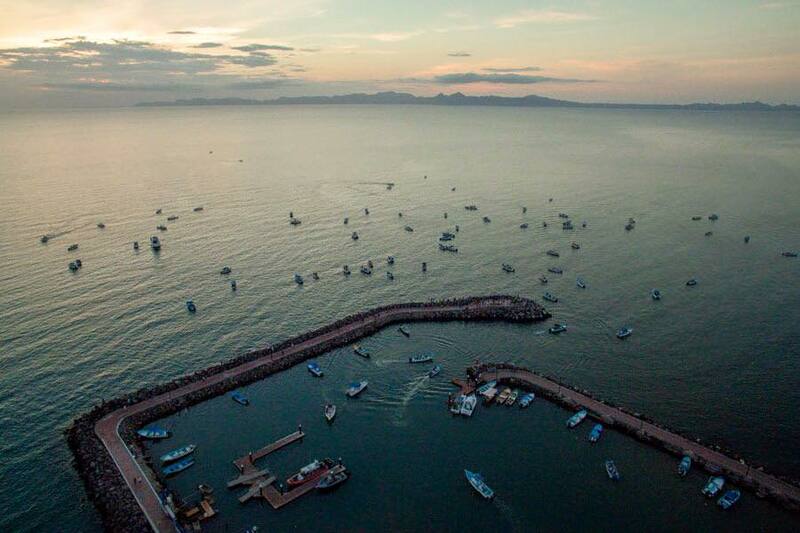 The Final of the State Fishing Sport Serial in Loreto, Baja California Sur (BCS), will be held in August. So far, more than 100 passes have been awarded for the sporting event, so it is expected that the number will be exceeded compared to last year, having the participation of more than 100 teams. Informed the head of the Secretariat of Fisheries, Aquaculture and Agricultural Development (Sepada), Andrés Córdova Urrutia. Meanwhile, it has been announced that the Grand Final Calisureños Cup has been named as the "maximum sport fishing festival in the state", as well as arouse interest along the coast of the peninsula, sports fishermen also attend other states in the region, as well as the American Union. Nowadays, playing golf has become the passion of adults and children, making it perfect for a family vacation in Baja California Sur, Mexico. If you add to that passion a stage with an impressive view of the sea and mountain range, you will have an unforgettable game experience in Loreto and here we will tell you why. 1)Family reunion - The golf appeal can encompass the age range of all members of a family. A young golfer can enjoy the challenge of being in contact with the ball for the first time, learning a new sport or the pleasure of spending the day with an adult relative. For an adult, golf can be a great opportunity to isolate your family from distractions and focus on spending time together in the context of a fun game. 3)Work mind and body - Being surrounded by nature, playing golf near the sea creates the ideal setting for you to relax and benefit from the muscular and coordination work that this sport provides you. Having amazing views of the ocean and their fauna. You disconnect from the world and connect with yourself! 4)Hobby and sport - When you do a low impact activity with an ocean view, you will not notice that you do any exercise. It will be more of a hobby that you can practice with the whole family. 5)Meeting point - The golf course is not only the place where you play ... it is also a great opportunity to meet and make new friends. Add to that the blue of the ocean, the sun and the palm trees facilitate socialization. 6)100% concentration - Practicing golf near the sea and away from the bustle of a city, gives you the opportunity to focus on your game and achieve better shots. We can say with great pride that our community Loreto Bay in Nopolo (located 15km from Loreto town) has one of the two golf courses in the area with a great view of the Sea of Cortez. Access to all of the community pool is another benefit you will have if you rent a property with us in Ocean Golf and Villa Rentals, contact us here, one of our agents will answer all your questions about the vacation rentals..
Are you visiting Loreto, located in the Gulf of California? Where in July 1996 it was decreed as a protected natural area. Its territorial extension includes the crowned islands, Isla del Carmen, Danzante, Montserrat and Santa Catalina (or Catalan) and several islets. We will talk about these further along. Its charming beaches, natural monuments, outdoor activities and delicious cuisine attract a growing stream of Mexican and foreign tourists, especially Canadians and North Americans. This park makes Loreto a world-class destination for all types of outdoor activities as mentioned above. A number of outfitters offer everything from kayaking, diving, snorkeling along the reefs and hiking. These are the 8 essential things to do and see in Loreto. Tours to the Beautiful Islands. Loreto is famous for its islands, which have clean beaches with white sand. You can start visiting the Coronado Island “Tour en lancha a Isla Coronado”, since it is located about 8 kilometers from the port of Loreto. Ideal for spending the day, it has its own private beach and has lots of marine life, so it is also worth the snorkeling or diving. With its spectacular rock formation and being a sanctuary for sea lions. Another option is Danzante Island. Whale Watching. The whale watching season begins in December and ends in April. If your holidays are scheduled this season you should not miss having a wonderful intimate and action-packed encounter to appreciate the Humpback Whale. The Sea of Cortez is home to many species each season, including whales, whales, whales, sperm whales, blue whales and occasional groups of dolphins and killer whales. Do not forget to take a picture for your plasma this wonderful meeting. Diving, Snorkeling, Kayaking. Whether you do one or all activities is something you cannot stop doing in the Beaches of Cabo San Lucas because it is well known that in the depths of its seas you will find a unique paradise of algae and colorful fish. Either enjoy either alone or as a couple an adventure in Kayak. Cabo San Lucas has many options to contract these activities. The best places to do it are in front of the famous Cabo Sana Lucas Arch. Sport Fishing. For those who enjoy sport fishing Loreto has excellent conditions for the practice of this sport, because it has several species such as Marlin, yellowfin tuna, dorado among others and the best part of this is that the place has not yet been exploited. If your dream is to catch a big fish, do not wait any longer and make it a reality in Loreto. If you are going to rent a boat, make sure it is with an authorized company, this way you will have the peace of mind that you will receive a quality service. San Javier Mission. This tourist place was founded in 1699, first as a chapel and the current building being built in 1744, it was the second mission to establish itself permanently in the peninsula of Baja California. It is considered the mission that best maintains the original appearance and one of the best preserved in the peninsula. Known as “the jewel of the missions of Baja California”, its style is Baroque and inside you will find oil paintings and sculptures of first quality. Cave paintings in the Sierra Giganta. One of the treasures of this municipality is the mountain range, the home of cave paintings with more than 10,000 years of antiquity. The cave paintings in Loreto are actually much larger and much more than those found in European sites such as Altamira, Tamaulipas or Lascaux in France. You must have an authorization from the guides, who are in charge of taking visitors. This tour can be done on foot or on board a 4×4 vehicle. Trekking in Tabor. On the same mountains you can do some trekking. In charge of taking water from the Sierra de la Giganta to the sea, the Tabor Canyon is one of the natural wonders of Loreto. You can carry out a number of environmentally friendly activities: hiking, rappel, swimming, observation of flora and fauna. From the top of the stones you can see the Bay of Loreto. It is an adventure to travel the Tabor Canyon, inside it you will run into natural swimming pools where you will have to cross to be able to follow your path, besides observing the great diversity of flora and fauna of the place. Loreto is a memorable, each experience will be loaded with feelings of adrenaline, happiness and fun. If you like adventure, do not hesitate to visit. In Canada every day is more significant the number of retirees or retirees who choose a Mexican town, to spend their years of rest roasting in the sun and only thinking about the snow in their country. To this number of retirees, the so-called 'snowbirds' join the club, who for years have traveled to the southern US state of Florida but since September 11, 2001, they began opting for Mexico to simply spend the winter. Canadians who make that decision will voluntarily expand as they no longer return to their home country for their retirement, or in the case of the so-called 'snowbirds' spend only the winter months. The 'snowbirds' and expatriates seem to prefer the center and the Pacific coast where Loreto is beginning to be popular along with San Miguel Allende, Ajijic, Guadalajara, Colima, Cabo San Lucas, La Paz, Mazatlan, Manzanillo, Puerto Vallarta, and colonial cities such as Guanajuato, Mérida and Puebla are others loved by these Canadians. The truth is that nobody knows, in Canada, how many 'snowbirds' and expatriates are in Mexico, although some media handle the figure of 100 thousand and others only 60 thousand, but according to McTavish, it is clear that the number is increasing. In Acapulco, the governor of the state of Guerrero, for years thousands of Canadian retirees rent apartments in that port to spend the winter. Mexican cities are publicized by organizations such as "Canada2Mexico" (from Canada to Mexico), as owners of dreamy beaches, rich culture and "a wonderful and friendly town". According to the CSA, snowbirds leave Canada in November and return in April or May. In turn, expatriates are less numerous but live more or less permanently, according to the sources, in the United States or Mexico, but also in Costa Rica and other countries. Most are snowbirds because Canadians who are more than six months abroad lose health insurance (as in the province of Quebec) and some tax advantages, but also because they lack the resources to buy or rent and live permanently. However, "Retiring in Mexico" is a business that already mobilizes economic niches, from promoters and home builders to service sellers, and shared by Mexican businessmen and Canadian expatriates. It is a business that can be flourishing due to the constant appreciation of the Canadian dollar against the US and the Mexican peso. The cost of living in Mexico is cheaper than in Toronto and they do not spend on heating or winter clothing. In Internet portals it is stated that in Mexico there are currently Canadians who escape the winter and live without luxuries with 1,500 dollars a month, while others reside in private neighborhoods and spend three or four times more. Among the advantages that Mexico offers for Canadian snowbirds and expatriates, according to the numerous Internet portals that offer information and services, there are the accessible prices of health services.